Do you want to eat real food but feel like it just takes too much time to cook from scratch? 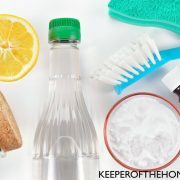 Do you resort to prepackaged convenience foods or carry-out meals because you’re exhausted and just need something quick? 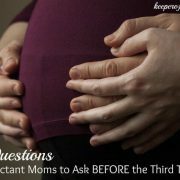 I have a very active toddler that I homeschool preschool. I’m still waking in the middle of the night to nurse a baby. I run my own business from home. I’m a youth leader with my husband at our local church. And more! Like you, I’m busy and often exhausted. I just need something in my life to be simple! 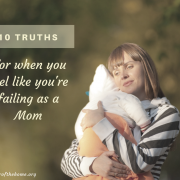 A few years ago, I was so tired of making excuses for not providing my family with healthy, nutritious meals. I challenged myself to come up with an entire month’s worth of real food meals that would only take 20 minutes to prepare. I knew that it had to be possible to eat healthy even when I was changing multiple diapers a day, cleaning the endlessly filthy kitchen floors, and trying to have a somewhat normal conversation with my husband. 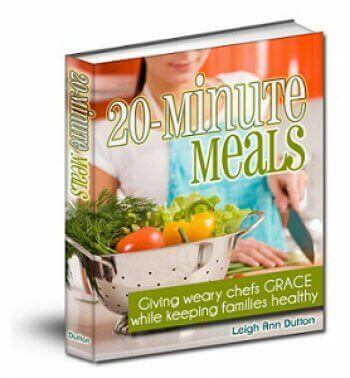 This challenge turned into an eBook, 20-Minute Meals: Giving Weary Chefs Grace While Keeping Families Healthy. After that I kept coming up with more 20-minute meal ideas, and now I can’t seem to stop. I’m still just as busy as ever, and although I can manage to prepare more labor-intensive meals occasionally, I still love having the option of real food meals that only take 20 minutes to prepare. 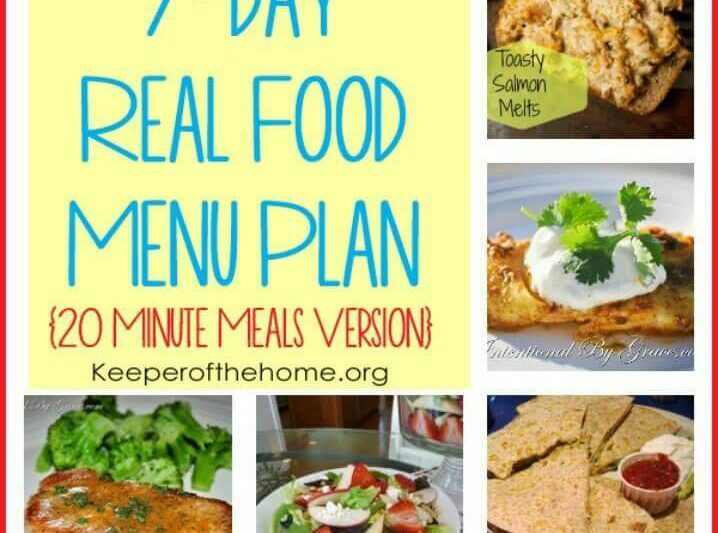 Because I like making my life easier, and I love to help other busy moms like you, I have put together an entire week’s worth of real food meals that only take 20 minutes to prepare. 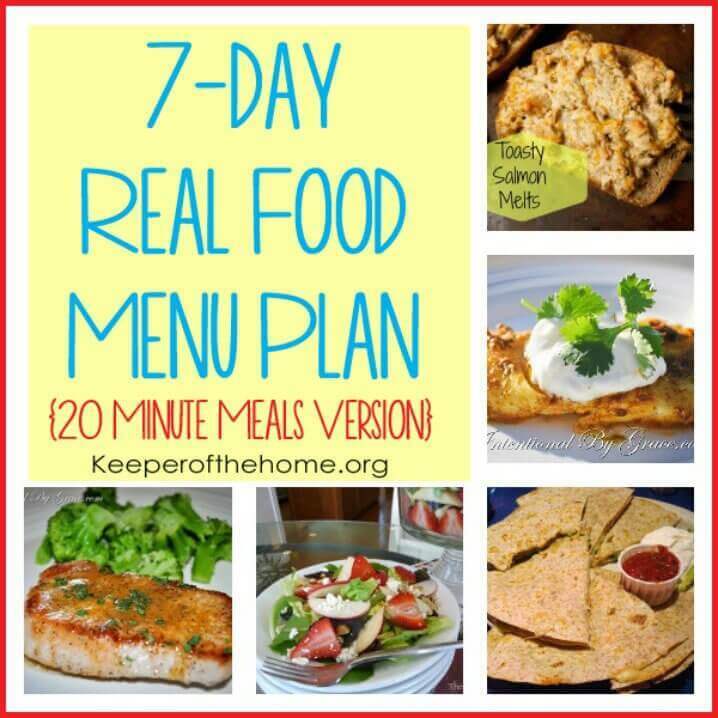 Below you will find a menu plan for a week of real food along with a printable grocery list for your convenience. The hard work is already done for you! All you need to do is print your grocery list, save the recipes, and start cooking. Note: I have made suggestions for side items to accompany the meals. However, I did not add these suggestions to the printable grocery list since I plan my sides based on what’s in season and on sale. 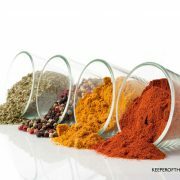 You will need to add side items to your grocery list based on your family’s preferences! Monday: Pan-Seared Curried Cod with steamed broccoli. Fish is such an easy, quick meal to prepare. Plus it’s full of lots of good fats. Tuesday: Pork Diane with with lemon garlic green beans and raw applesauce. With a short list of ingredients, this meal is just delectable. It packs a powerful flavor punch! Wednesday: Ultimate Nachos with a fresh green salad. Nachos are so versatile! Change out the meats or go meatless. Either way, this is a hearty, but simple meal for when you’re on a time crunch. Thursday: Toasty Salmon Melt with raw veggies. 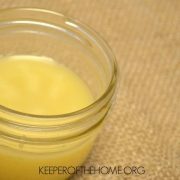 Another meal that’s full of good fats and easy to make! Friday: Chicken and Potatoes with steamed peas. This meal is comfort of all comforts. It’s super hearty and reminds me of my southern roots! Saturday: Simple Chicken Quesadillas with raw veggies and homemade guacamole. Quesaddilas are easy to make and the variations are truly endless! Sunday: Strawberry Feta Salad topped with cooked chicken with crusty bread. Any of your favorite salads can easily be made into a dinner meal by adding a protein like chicken, beef, or even beans. This one is definitely one of my family’s favorites! 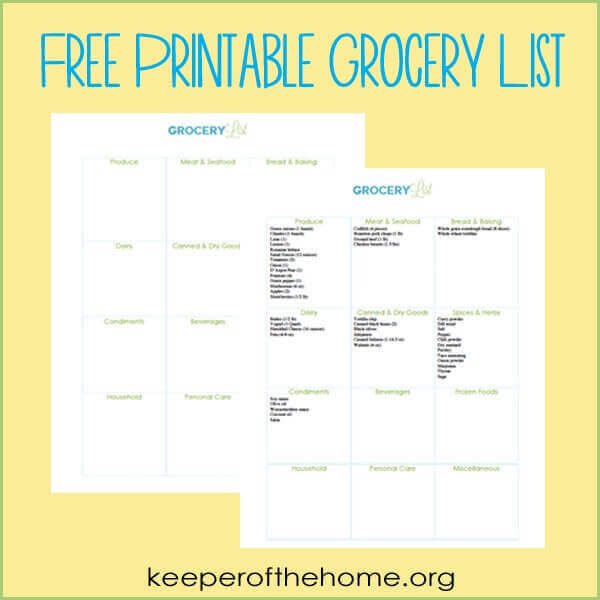 Download Your Free Printable Grocery List Here! Preparing simple, nutritious meals for your family is doable, and now you have an entire week of no excuses to not make healthy, real food meals for your family! If you want even fewer excuses, check out 20-Minute Meals: Giving Weary Chefs Grace While Keeping Families Healthy. If you purchase between now and April 2, 2014, you will get 20% off at checkout with the code “keeper20”! Click here to get your copy and start saving time in the kitchen today! What are some of your favorite meals that take twenty minutes or less? This is great! Thank you so much for the grocery list and recipes! I’m going to do this next time I need to get groceries! Great, Jane! I have so much fun making these for others. Glad you found it helpful! LOVE THIS! Pinning now – thank you so much! I love it when I find a group of recipes for the week. Such a blessing – thank you! Wonderful! 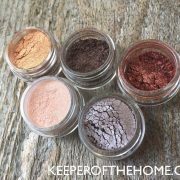 Thank you, Kayse, for pinning! Love. this. It doesn’t matter how old my kids get, I ALWAYS need quick meal ideas. Life just never slows down! I can’t wait to try some of these recipes. I love that they’re quick and healthy, and my family will love that they’re delicious and not the same-old-same-old that I usually fix. Thanks! I rarely make the same thing twice in my house. I love coming up with new ideas for quick meals. Glad you found it helpful!